Welcome everyone to another week of the best freebies and deals available to us this week. This week includes samples, magazines, coupons and more. Sample of Ester-C gummies if you haven't signed up already here. Purina One Dog or Cat food sample here. Folgers sample on their Facebook page here. Betty Crocker 2011 calendar here. Downloadable November 2010 desktop calendar from Trendy Girl Designs here. Pampers Rewards codes "NOVFACEBOOK2010" and "FBHALLOWEEN2010"
PC game download of Big Kahuna Reef by Amazon here. PC Game of the week download at Sandlot here. Changes every Saturday. Sprite® Spark Up Your Holiday Wallpaper - here. Coca-Cola Celebrate the Season Wallpaper - here. Coca-Cola Stars Wallpaper - here. Coca-Cola Shake Up Christmas Ringtone - here. Sprite® Spark Up Your Holiday e-card - here. Coca-Cola Holiday e-card - here. Still Available: Samples at P&G Brandsaver currently include Head&Shoulders, Always, Tampax and others here. Ongoing: Children's Car Seat ID Tag for new/expectant moms from My Precious Kid here. I love mine! One year digital subscription to Car and Driver magazine here. One year digital to Woman's Day here. Still Available: Several complimentary magazine titles Cosmo, Parenting, BabyTalk and Bridal Guide here. They have 2 new offers for Marlin and Sports Fishing also. 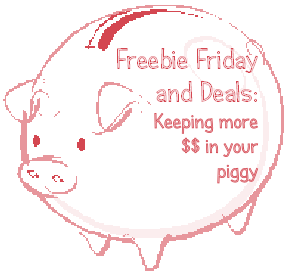 Still Available: "Gifts in a Jar Recipes and Ideas" and "The Soap and Bath and Body" from Rose at I'm a Frugal Gal"
Printable coupon for a free Renuzit cone ($1 off) for the first 30,000 here. $5 off any Evenflo Car Seat here on Facebook. $2 off Schick Quattro for Women here. Printable coupon for BOGO FREE bowling games here. 50 4" x 6" prints from Snapfish and MyCokeRewards.com here. Sign up or login then follow the link. This item costs 0 points to redeem! Just pay around $3.50 when you have them shipped to your home. Studio Movie Grill is giving away 2 free tickets to their Facebook fans here. (200 per hour.) Expires 12/15. Thanks for stopping by and reading today's post. Check out the Facebook Fan page here to get faster freebies and deals AS they become available. Don't forget to enter my giveaways and vote in our poll. You can find them on the side bar! If you're a fan of criminal justice and legal studies, check out my other blog "The Legal Mom" for great news, info and discussions.